MSU's fuel cell research — which is focused mostly on one type of cell, the solid oxide fuel cell or SOFC — aims to fix those problems and make fuel cells an affordable and practical source of energy for the 21st century. MSU researchers are engineering the ceramic and metallic components of these fuel cells to make them resistant to the degradation mechanisms that shorten their lifetime. 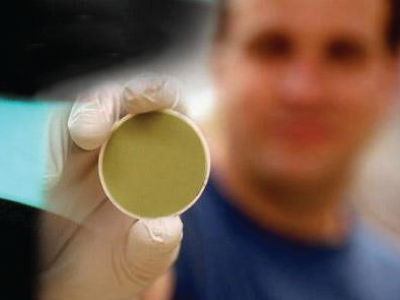 Researchers at MSU are also developing protective coatings that can help parts survive the 1,500-degree Fahrenheit temperatures inside an operating fuel cell. Electrical engineers at MSU are developing technologies that work with the power produced by fuel cells, such as DC-to-AC power converters and computer models of SOFCs that can be used to study applications such as distributed power generation and fuel cell vehicles. Roberta Amendola is an assistant professor in the Mechanical and Industrial Engineering Department. Dr. Amendola’s research focuses on both fundamental and applied research into materials degradation and durability in extreme environments (e.g. high temperature, anoxic and anaerobic environment, the presence of stresses) for energy, power, and propulsion. Her research activities involve examining the relationship between microstructure and materials properties. Current research interests include high-temperature corrosion and prevention of metallic alloys for solid oxide fuel cell interconnect applications, development of a protective coating for high-efficiency turbine application, biocorrosion in petroleum systems, and development of high strength ceramic for anode supported solid oxide fuel cells. Dr. Amendola can be reached at 406-994-6296 or roberta.amendola@montana.edu. Ryan Anderson is an assistant professor in the Chemical and Biological Engineering Department and manages a low temperature PEM fuel cell lab. The focus is on the transport phenomena occurring within the cell, and how that relates to overall performance. He also manages projects on heat transfer and fluid flow in packed beds, focusing on both transport fundamentals and system-level efficiency. Dr. Anderson can be reached at 406-994-5701 or ryan.anderson@montana.edu. Maryam Bahramipanah is an Assistant Professor at Montana State University, Bozeman, Montana, USA. She got her Ph.D. degree in power system engineering at the Swiss Federal Institute of Technology (EPFL), Lausanne, Switzerland. She received the M.Sc. degrees in electrical power system engineering from the University of Tehran, Tehran, Iran. Maryam is a specialist on power and energy systems with the focus on optimal dynamic control of active distribution power system. Her main expertise is related to develop dynamic and state-of-charge models of different Energy Storage Systems and optimal control of active distribution network. Prof. Bahramipanah can be reached at 406-994-7603 or Maryam.bahramipanah@montana.edu. Paul Gannon is an associate professor in the Chemical and Biological Engineering Department and manages MSU's high temperature corrosion and corrosion protection laboratory. There, Dr. Gannon develops protective surface coatings to prevent corrosion on metallic components that are vital to solid oxide fuel cell systems and many other high-temperature energy conversion devices. Dr. Gannon can be reached at 406-994-7380 or pgannon@coe.montana.edu. Hongwei Gao is an assistant professor in Electrical and Computer Engineering Department. He develops power converters for solid oxide fuel cell systems. These DC-to-AC converters condition the power produced by fuel cells. Dr. Gao has developed soft-switched converters for residential fuel cell power systems and is working on modular inverters for large-scale fuel cell systems. Dr. Gao can be reached at 406-994-5973 or hgao@ece.montana.edu. Yves Idzerda is a professor in the physics department. He researches high-performance, low-cost solid oxide fuel cells. He focuses on the places in fuel cells where different materials meet the "interfaces." These areas can degrade during fuel cell operation, which reduces the cell's performance and life-span. Dr. Idzerda uses X-rays to probe the interface material and find the causes of degradation, which he hopes will ultimately lead to more reliable sources of clean energy. Dr. Idzerda can be reached at 406-994-7838 or at idzerda@physics.montana.edu. Erick Johnson is an assistant professor in the Mechanical and Industrial Engineering Department and co-directs the Fluids & Computations Lab with Dr. Mark Owkes. His research focuses on using computational fluid dynamics (CFD) and numerical methods to investigate the design of energy systems and to understand the environmental changes to sediment transport, sound propagation, and fish navigation that are caused by water energy systems. This work spans projects in efficiency gains for building energy systems, heat storage in packed beds, analysis of fish passageways, and wind and water turbine design. Dr. Johnson can be reached at 406-994-6163 or erick.johnson@me.montana.edu. Hashem Nehrir is a professor in the Electrical and Computer Engineering Department. Dr. Nehrir received his BS, MS, and Ph.D. degrees all in electrical engineering from Oregon State University in 1969, 1971, and 1978, respectively. He started his educational career in 1971 and joined the Montana State University Electrical Engineering faculty in 1987. He has taught a variety of courses on electric power systems, alternative energy power generation, energy conversion devices, electric circuits, and control. Dr. Nehrir's active research includes modeling, control, and energy management of alternative energy distributed generation (DG) sources and microgrids with multiple alternative energy and conventional DG sources, and smart grid functions including demand response and application of intelligent control and multiagent systems to power systems. His research has been supported by a variety of sources, including: The US National Science Foundation, NSF-EPSCoR, USDOE, DOE-EPSCoR, Pacific Northwest National Laboratory, Electric Power Research Institute, The Montana Power Company (now NorthWestern Energy), Montana Electric Power Cooperatives, and Montana Electric Power Affiliates Program (MEPRA). Dr. Nehrir can be reached at 406-994-4980 or hnehrir@montana.edu. Mark Owkes is an assistant professors in the Mechanical and Industrial Engineering Department. 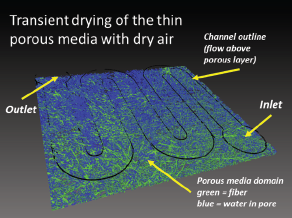 He develops computational fluid dynamic (CFD) methods and applies to many gas-liquid multiphase flows including proton-exchange membrane (PEM) fuel cells and the atomization of bio-fuels. The high fidelity CFD simulations are run on thousands of compute cores and provide a large amount of data. This data can provide insight into the phenomenological processes of the flow and lead to discoveries that improve the efficiency of engineering devices. Dr. Owkes can be reached at 406-994-6300 or at mark.owkes@montana.edu. Dr. Shaw is a professor in the Electrical and Computer Engineering Department. He works on modeling and control of energy systems, storage, and conversion devices. Dr. Shaw can be reached at 406-994-5982 or sshaw@montana.edu. Dr. Stephen Sofie is assistant professor in the Mechanical & Industrial Engineering Department. Metal electro-catalysts represent the standard for high performance, low cost high temperature fuel cell electrodes. Moving towards solution infiltrated catalysts to achieve nano-scale (10-80 nm), high surface area electro-catalyst coverage, yields some detriment to the use of nano-metallic catalysts. Thermodynamic degradation and hence coarsening of fine catalyst particles can lead to catalyst attrition and performance drops, ultimately limiting the long term stability of these nano-scale materials at temperatures up to 900C. Research activities are examining novel approaches to stabilizing nano-metal catalysts by the incorporation of tailored secondary phases at the catalyst/support interface to mitigate degradation by physically binding the catalyst. Mixtures of aluminum and titanium oxides have been shown to react in-situ to fuel cell electrolyte materials forming complex functional oxides that dramatically enhance fuel cell electrode longevity. Dr. Sofie can be reached at 406-599-4481 or ssofie@montana.edu. Nicholas Stadie is an assistant professor in the Chemistry and Biochemistry Department. The Stadie group explores new synthesis routes toward structurally and chemically tunable carbon-based materials with a chief interest in their application for energy storage. The group’s interests are in both electrochemical energy storage (e.g., porous carbon-based batteries) and gas storage (e.g., in adsorbed phases of hydrogen or methane under high pressures), as well as gas separations and catalysis. Contributing fundamental insights into gas adsorption phenomena at the solid interface is also a goal of the group’s work, using simple thermodynamics and statistical mechanics models. Dr. Stadie can be reached at 406-994-7931 or nicholas.stadie@montana.edu.